Whether you’re a CMU alum, a design academic, or a professional working in a related field, there are many ways to collaborate with the School of Design. Sponsored classroom-based research projects enable students to work directly with companies, non-profits, and academic partners to tackle meaningful design challenges, like envisioning the car of the future or explaining the importance of insect life on earth. Our research sponsors gain the fresh thinking and new possibilities that students are uniquely equipped to contribute. Research sponsors find that classroom-based research often generates innovative, unexpected solutions and client-sponsors are invigorated and challenged in new ways through their interaction with our students. If you are interested in sponsoring a research project, read our guidelines for what makes a successful collaboration. If you have questions about sponsoring research or would like to set up a meeting to discuss these and other opportunities, please contact us. Confluence, our annual job fair, attracts more than 70 prospective employers nationwide who travel to CMU to interview our students. 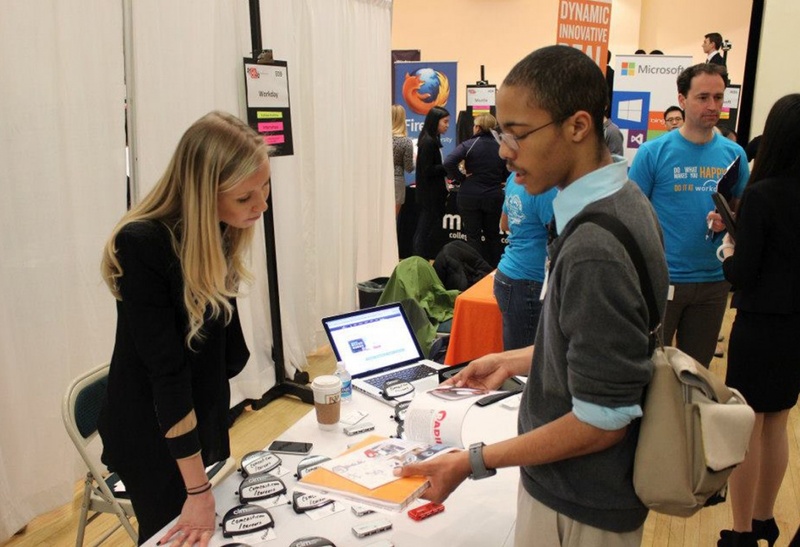 Held in conjunction with CMU’s job fair, Confluence is our primary recruiting forum. We invite prospective employers to tour our studios and view the work of both our undergraduate and graduate students. As a participating firm, you have the option to host a table to promote your company in the University Center, where students can drop by and chat with you. You may also choose to conduct formal interviews with students. Students will be able to reserve time slots to meet with your company’s representatives as soon as you register. Each year, many of our students receive employment offers before the end of the academic year as a direct result of these interviews. The experience that Confluence affords our students is invaluable, but participating companies also report that their conversations with students are invigorating, challenging, and rewarding. If you have a job opportunity that you would like us to share with our students, please contact us. If you are contacting us about a design competion for our students, please read our Position Statement on Competitions.